Ben and Sam: Oh what a weekend. Pete had a great birthday (so he says)... We went out to eat, had a mini fire with all the candles, and Ben helped open all his gifts. 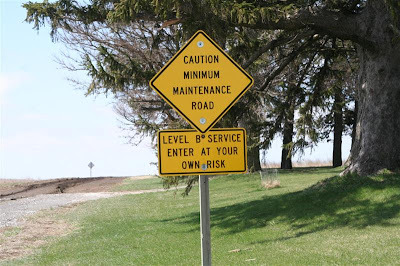 WHY WASN"T THIS SIGN ON THE OTHER SIDE OF THE ROAD?? 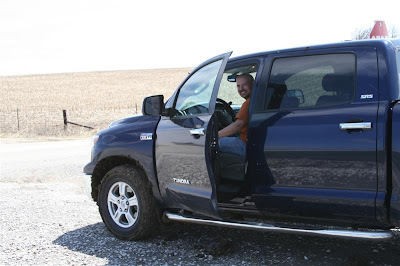 So after a little off roading in the Truckasaurus - we headed to the next town in search for a car wash. Pulled in to Ray Dee's Carwash... and there sat Ray Dee himself.. and he told us OOOOH NOOOO!.. 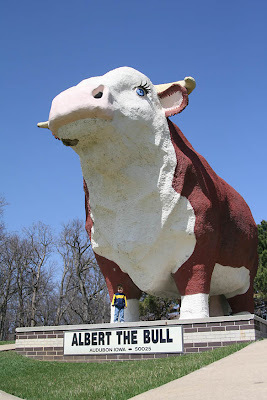 Keep on truckin... He didn't want that mud all over his bays - It's a CAR WASH - HELLO?! Finally we arrived at Swan Lake.. and scraped off as much mud as possible b/f setting up camp. Swan Lake is a really nice park and lake but lacks in the campground department (for our style). We had a great time hiking the trails, and seeing the sights, and of course finding the geocaches! 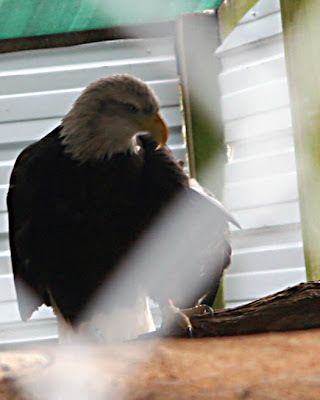 Eagle shelter - The park cares for 2 bald eagles that have been injured and aren't able to be released. You can walk right up to the shelter and gawk at the amazing birds. It was really amazing for us to see them - but how incredibly sad that they are pinned up. 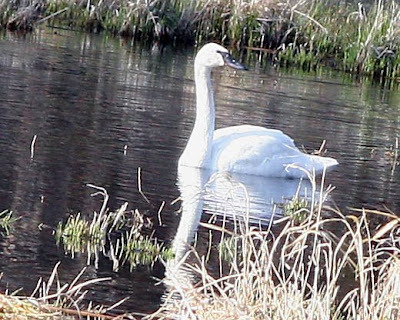 Swans - They are trying to establish a swan population. They have a pair of swans held captive but release the offspring. 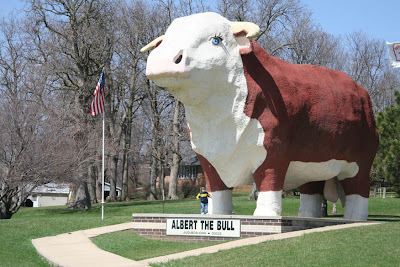 Albert is the worlds largest bull, and is anatomically correct! 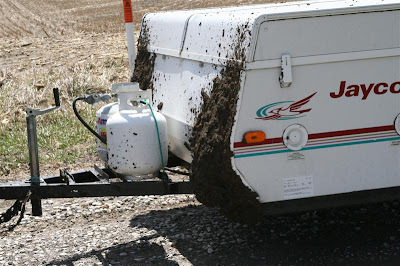 I was showing Ben his blog -- and he said: "Look daddy's driving the muddy truck .. and the camper is muddy too... Daddy made a mess"
Like mother like son ? ?